Welcome, Immigrants! « You know… that Blog? Welcome to Canada! No, I’m not being facetious, I truly mean that. Welcome! Canada is called a “melting pot” for a reason; most of us are immigrants, or the descendants of immigrants. Our acceptance of people looking for a new life is world-renowned, and makes Canada the most wonderful place to live. We all hope that you’ve come to Canada with an open mind, and are willing to accept a new way of life. You’re going to face a few prejudices out there, and for that I’m sorry. Don’t let it get to you. That said, there are a few things I’d like you to know, so you can embrace your new Canadian life. Canadians are friendly folk. People around the world like us, and we’d really like to keep it that way. Which means you don’t push people around, and you don’t budge in front of them as they patiently wait in line. You wait your turn. It’s what our smallest children learn in school, and one of the things you really need to know. I know in some places around the world, that was what was necessary to survive, but it’s not necessary here. You can relax. We don’t treat public service workers, wait staff at restaurants, or other service-oriented people like second-class citizens. They’re every bit as good as you and I (in some cases more so), and they deserve our respect. In other words, treat everyone with the same courtesy as you expect to be treated, and we’ll get along just fine. Driving here can be chaotic. We have some heavily traveled highways and byways, especially in the more heavily populated metropolitan areas like Toronto. But if you pay attention, you’ll notice something fairly unique to Canadian drivers… we’re generally courteous to other drivers. We’ll let you in front of us if you need to change lanes and signal your intention, and all we expect back from you for that courtesy is a wave of thanks. No, I’m not kidding. It’s done, and it’s expected. We’re big on courtesy here in Canada, and now is the time to learn that. When you see a police car has someone pulled over on the side of the road – get in the other lane if there is one, and give them some room. If there’s no other lane to move in to, slow down, and give the officer the widest berth safely possible. Needs to be said, because I’ve seen so many people drive within inches of a police officer on the side of the road. When you see flashing lights behind you, get out of the way. Pull over to the right, and let them pass. The flashing lights and siren means an emergency vehicle of some sort needs to get through. Whatever you do, don’t slam on your brakes, burst into tears, and weave wildly all over the road, not knowing what else to do. It’s just not good. Learn the rules of the road well – your life depends on it, and frankly, so does mine. Our kids are every bit as precious to us as yours are to you. We never leave little ones unattended in a car – ever. We teach our children to respect each other, and to keep their hands to themselves. Most of us don’t tolerate prejudices and derogatory comments about other races and people who are different from us. We are a progressive, enlightened country, and realize that men and women are equals, and should be treated as such. There are niceties that we like to observe here, that may be different than where you come from. We say “please” and “thank you” a lot. It’s nice, don’t you think? Pleasant to be thanked, and so very nice to hear “please” when something is required of us. We don’t belch, pass gas (loudly), spit, or chew with our mouths open in public here. It’s considered extremely rude; we generally like to “mind our manners” and behave as civilly as we can. Granted, you’ll find people doing all of the above, but I sincerely hope you don’t come across them too often. I personally have a big “thing” about manners, and I’m terribly offended when people do any of those things in my presence. Religious freedom is a right in Canada. We’re fairly quiet about it here, and we never shove any particular religion or belief in anyone’s face (I personally am not religious at all, but I have a good many friends who are). Share, by all means, but don’t push. Again, it’s all about respect, and courtesy. If you make it a point to learn how to get along in this society while keeping your own culture and beliefs vibrant in your life, then we’ve reached that ultimate goal, haven’t we? I hope living here is everything you hoped it would be. Welcome aboard. I hope the right people read this. Such a good post! I believe I could be quite happy in Canada. 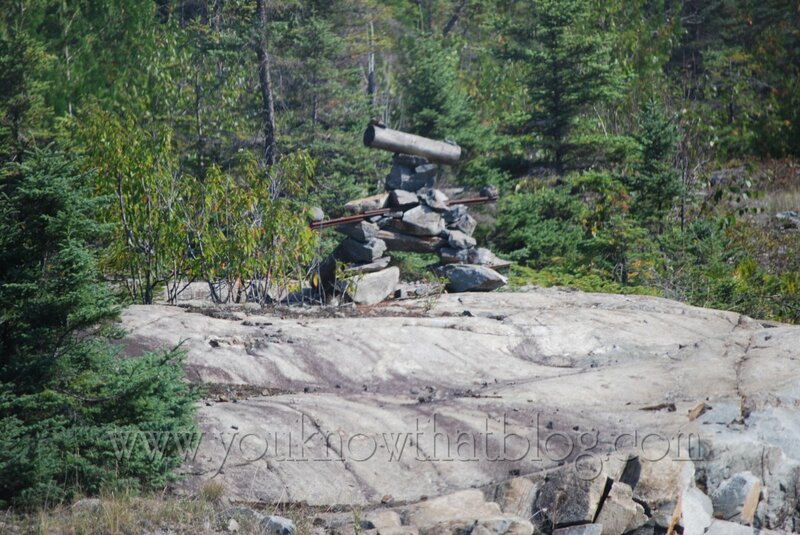 Especially if I could see the inukshuk along your highways. They are awesome! I took a bunch of pictures of them on my way to Thunder Bay this summer – here’s one just for you! I could live quite happily in Canada, methinks. Great post! Did you see I had a guest post last week from a Canadian about why Canadians rock? It does sound like a great place to live. There have been quite a few things I’ve noticed recently about how fab Canada is, it must be a sign – think I need to plan a trip there soon. Although it looks like I’ll have to wait until Feb when I won’t have to pay for my own flight! One reason I think I’d like to live there is that there really are real seasons – I love some both hot weather and the snow.